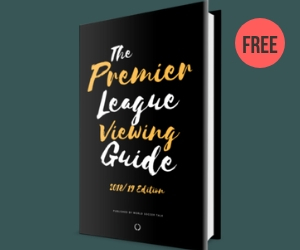 If you’re looking for soccer beginners guides to the most popular leagues, we’ve compiled them here for you. Each major soccer league has its own intricacies and different ways that they’ve organized as well as different cup competitions that their teams participate in. We’ve broken down each of the most popular soccer leagues to explain how everything works — from promotion and relegation, to how teams qualify for European competitions as well as how many points clubs get for a win, draw and loss. Plus we bring you the latest news, reviews and deals that can help bring the best soccer games into your living room via TV and/or online. World Soccer Talk is a treasure trove of helpful information for new and old soccer fans alike. 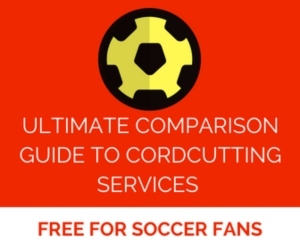 We’ve created comparison guides of the soccer streaming services as well as DirecTV vs. DISH for satellite TV. And much more. Plus we bring you the latest news, reviews and deals that can help bring the best soccer games to your browser. Last but not least, we’re here to help you better understand the game as well as to ensure that you have all of the information you need to know when and where soccer games are on TV and streaming. Subscribe to our free e-mail newsletter to receive daily updates on the latest soccer news as well as the most-updated soccer TV schedules. You can also listen to World Soccer Talk on our weekly podcast that’s available on this website, iTunes, Google Play, Stitcher, TuneIn, Soundcloud, YouTube and Audioboom. Visit our podcasts section for the latest episodes. If you have any questions about the soccer beginners guides, please let us know in the comments section below. Is there a way to find out what epl matches nbc sports app will offer as an on demand replay before the matches take place? Thanks for any help. Hi Matthew, NBC doesn’t make a determination of which matches they’ll include on the NBC Sports App until after the matches have finished. They’re not allowed to make all 10 available per the Premier League. So they typically end up making the best 9 matches available.